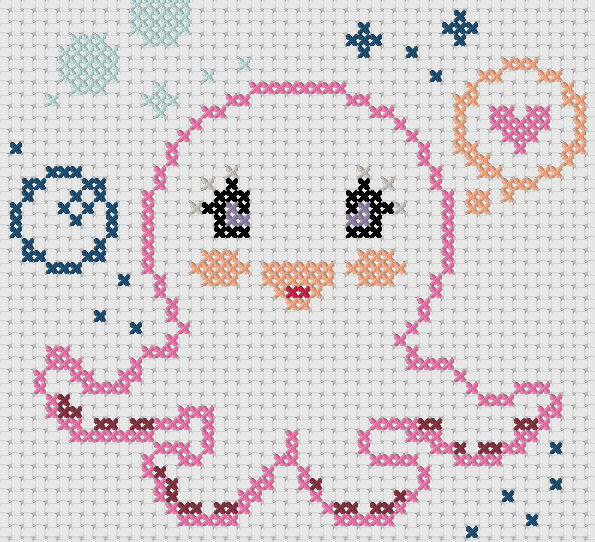 I stumbled upon a cross stitch program a couple of days ago and have been playing with it non-stop. So I present to you my first creation, Octochu!! This is just a design, I haven't actually made it yet but I was too excited to wait that long. It was made with KGChart which after a bit of experimenting is actually really easy to use.